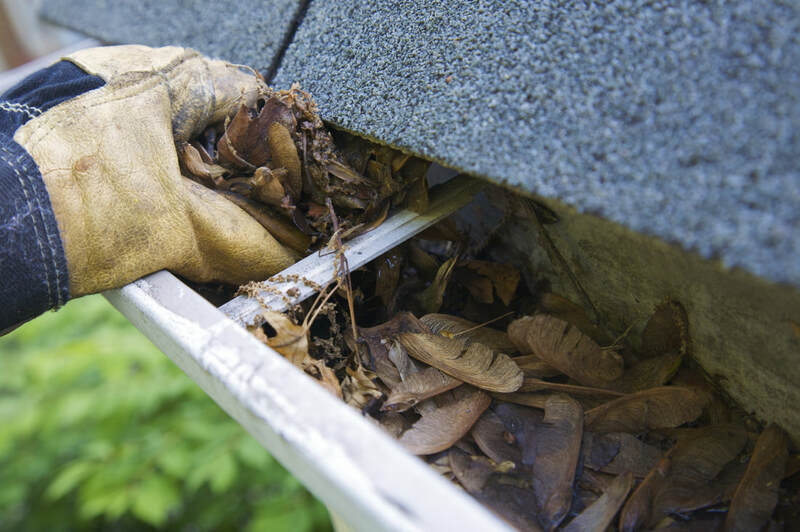 Prevent thousands of dollars worth of water damage by consistently maintaining your gutters. 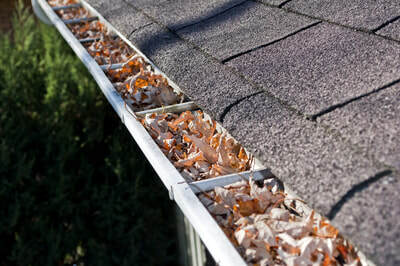 Keeping your gutters unclogged protects your home from wood rot due to improper drainage. 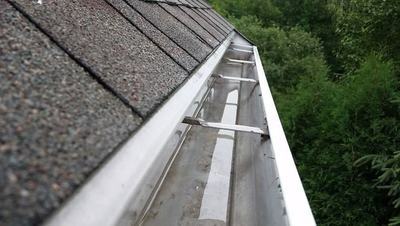 If your gutters are clogged, water can overflow between the gutter and fascia board causing damage. Call us today and we’ll take care of it! We hand scoop the debris and leaves, bag them, and haul them off. The downspouts are checked and unclogged as needed to ensure proper drainage. While we are up there, we will check your gutters to make sure they are properly secured and attached. We also sweep up any leaves or debris from your walkway and driveway. We can also give you a free estimate for gutter guard installation. We offer several options and will work with you to find the best solution for your home. Our ladders will not bend your gutters! All of our ladders are equipped with stabilizers which allow the ladder to rest on the roof rather than the gutters. This prevents gutters from bending or denting.